Enlighten every compact corner of your house with some beautiful flowers and artistic flower pots. 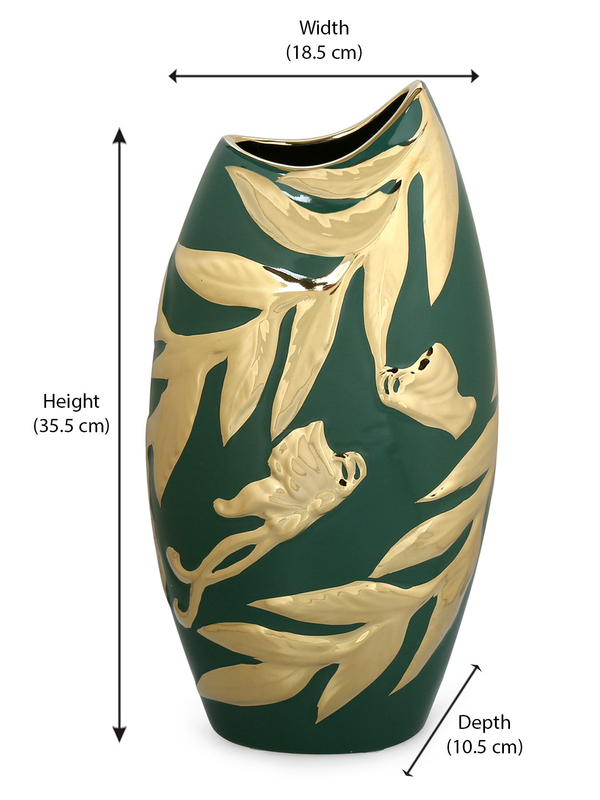 Beautify your living space with Flowers Wilds Large Leafy Vase, Green. This vase leaves the essence of contemporary design and nature- defined art. The majestic golden embossing makes it a wonderful showpiece. You can put on your choice of flowers in this vase and it will make you feel awesome every time you would see it. Add some flowers that will blend perfectly with the colour of the vase. In case, you don t have fresh flowers at your home, then you don't need to get worried as you can also place this vase as a decorative accent minus the flowers.